1. Make sure you’ve exfoliated your skin to get rid of any dead skin cells, and you’ve moisturised your face, to ensure the make-up goes on smoothly. I also sprayed rose water on my face to add more glow. Why do all women look like each other?! 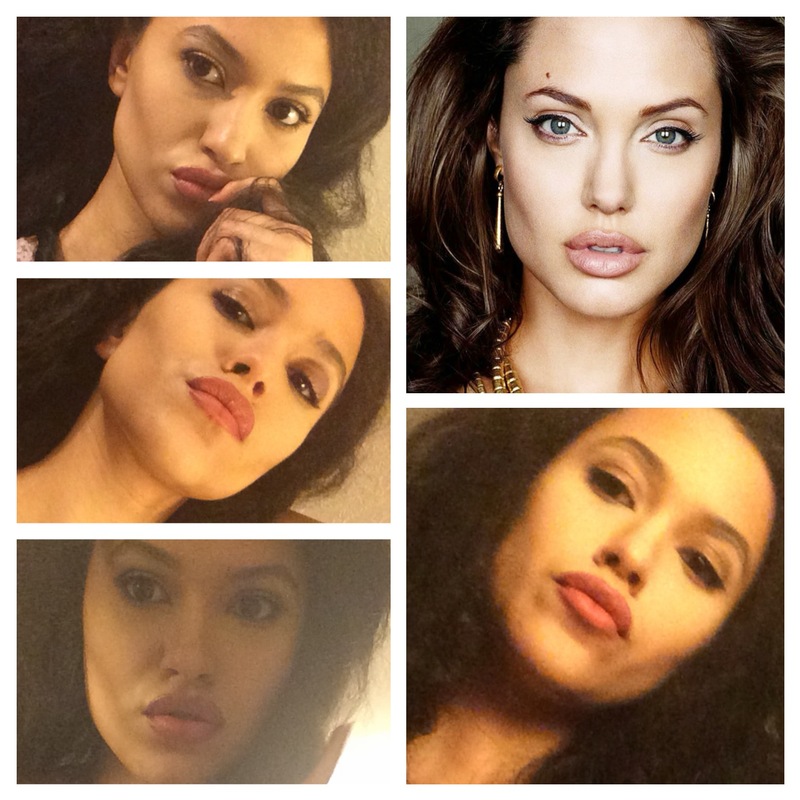 I’ve always loved art and make up is one of the ways in which I manifest it, this is my Angelina Jolie inspired look and I am quite proud of myself 😛 Which celebrity should I turn into next? 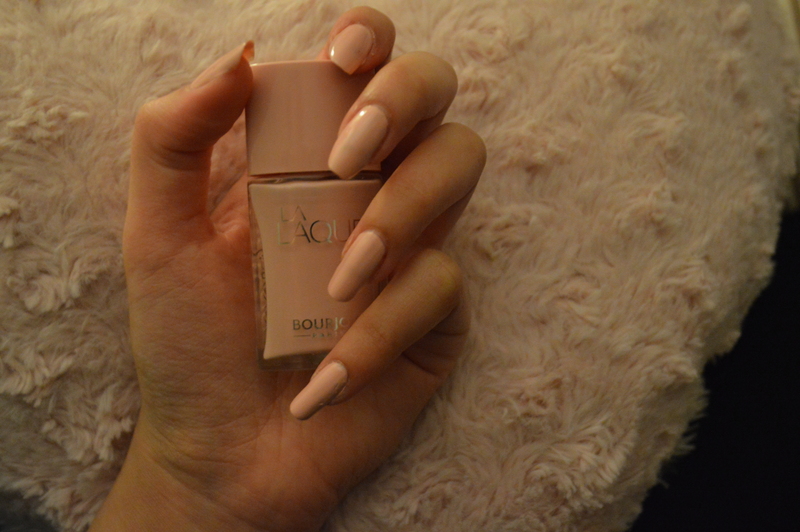 Loving this Nail Colour by Bourjois! I’m loving this colour because it’s so simple and elegant, I only applied one coat and the pigment was pretty intense! 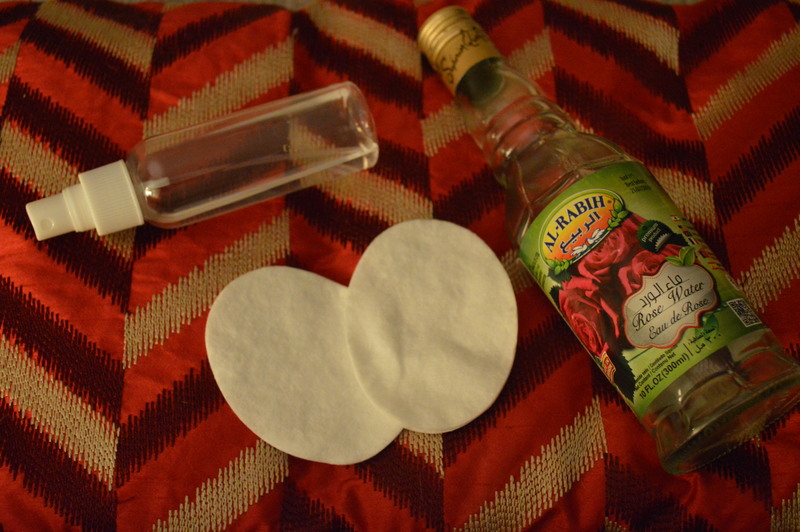 Find out why rose water is my favourite lip exfoliant, under eye treatment, and make-up remover! Click here for the full article to get loads of uses and beauty secrets with rose water! It is important to realise what ingredients are contained in the cosmetics we use everyday. People usually assume that if a product is on sale at a supermarket or a drug store, it must be safe. However, The Food and Drug Administration agency does not review or approve the vast majority of products or ingredients before they go on the market. Also, products labelled as “hypoallergenic” or “Natural”, can “mean anything or nothing at all,” according to the FDA. I would recommend to visit www.ewg.org/skindeep/ which is the Environmental Working Group’s cosmetic database. You can search thousands of products to see how safe/dangerous they are from a rating of 1-10 and to also see what effects they have on the human body. If a product you are looking for is unavailable, you can simply ‘Build Your Own Report’ on the top left hand side of the screen. On the website you can also find a user’s guide, myths on cosmetic safety and shopping tips. Crushed Beetles: Used commonly in red lipstick and blusher. According to The New York Times, when they are full of cactus juice, the insects are boiled, dried out and crushed. Infant foreskin: Full of antioxidants, natural growth factors and proteins, it is often used in anti-ageing products. Fish scales: Gives shimmer and sheen to the product. Chicken bone-marrow: Used in moisturisers for its anti-inflammatory properties. Decaying animal fat by boiling animal carcasses to help in the production of lipsticks, eye shadows and soaps. It’s not just the ingredients that are used in products, it’s the lack of information contained on the label. I want to know what is in my products, choosing to use it or not is another choice.